The Sal J. Federico General Fund is the school’s overall annual fund. The fund is the school’s most important annual fundraising priority. It provides unrestricted funds that directly support the operating budget. The funds will be used for the Ecole Beautification project. Cleaning up fence lines, repairing our buildings, and bringing a sense of pride back to our school. 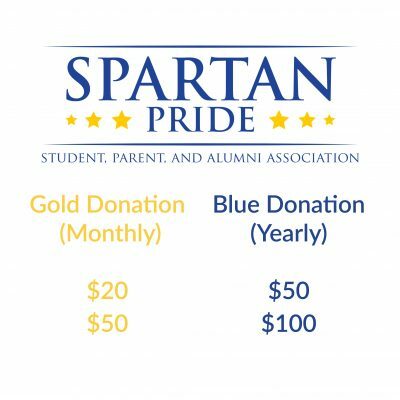 All contributions go directly into the current spartan pride budget, so your contribution helps fund everything that happens at Ecole Classique. Check out some of our recent projects paid for by the Sal J Federico Fund! Who gives to the Sal J Federico General Fund? Alumni, parents, trustees, faculty, staff, grandparents, parents of alumni, foundations, corporations and friends. We ask each person to participate at a level appropriate for his or her circumstances. Gifts at all levels are vital to the success of the fund. “I want to participate, but do small gifts really matter?” They really do! In fact, more than a quarter of the gifts made to the Ecole Classique Fund are gifts of $100 or less. Thank You to All of Our Spartan Pride Donors!